Tell us your project needs! 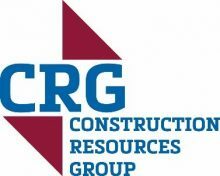 CRG is a full-service general contractor and building maintenance provider, located in Kansas City. We have experience working on jobs of all shapes, sizes, and budgets. Our ultimate goal is to make our customers’ experience with us on their project as simple and easy as possible. Please feel free to contact us today and find out how fast, simple, and easy it can be for CRG to handle any project for you. We provide expert services for all your facility projects, installations, maintenance and repair needs. We serve as the overall coordinator for your project and will handle all aspects of the job. We aim to simplify your life by providing services needed for your home all under one roof.